Good Monday babes! Another fun week to begin, it's also Share-in-Style 'Summer' themed and since the weekend was anything but summer weather wise, I thought some of my holiday pictures fit in perfectly. Here I am at Fountains Abbey in North Yorkshire, amazing place that I love. You can literally feel the history as you explore and being completely surrounded by nature is pure bliss. I hope you enjoy it & be sure to join in on Sacramento's blog with everyone else too!! I did a history bit below for those who like to know more in depth about the places I visit. But don't feel you must read (and you don't have to tell me you didn't read it either - hahaha) But, I hope you enjoy it visually any ways. Have a great day dolls. 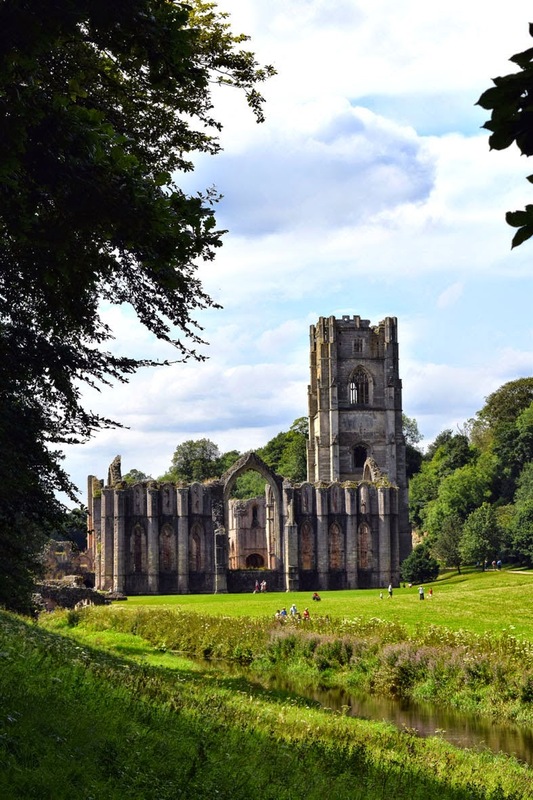 After a dispute and riot at the Benedictine house of St. Mary's Abbey in York, Fountains Abbey was founded in 1132. 13 reform minded monks were exiled and taken under the protection of Thurstan, Archbishop of York. He provided them with a site in the valley of the River Skell in North Yorkshire, that had been described as 'more fit for wild beasts than men to inhabit'. Three years passed by & these monks joined the Cistercian order, which suited them perfectly as they desired austerity and self-denial. They worked hard, lived mainly in silence, ate a diet that was barely above subsistence level, and wore the regulation habit of course undyed wool. Of the most important developments here was the introduction of the Cistercian system of lay brothers. Usually unable to read, they relieved monks from routine jobs. Many worked as masons, tanners, shoemakers, smiths and so on. Their main role however was to look after the abbey's vast flocks of ship that lived on the huge estate. This work led to great wealth and economic importance of Fountains Abbey. It would make the founding monks roll in their graves at this thought, by the middle of the 13 century the abbey was one of England's riches religious houses. Lay brothers encouraged the monks to extend beyond what was needed for self-sufficiency and then included mining lead, iron working, quarry stones and horse breeding. During the 14th century there was an economic collapse due to the combined effects of bad harvests, Scots raids, the Black Death and financial mismanagement. The group of brothers reduced in size, much of the granges were leased out to tenant farmers & in the late 15th century dairy farming replaced sheep farming. Despite all these financial problems, Fountains Abbey remained a big importance in the Cistercian Order. Abbots sat in Parliament and the Abbacy of Marmaduke Huby (1495-1526) marked a time of revival. Fountains Abbey once again flourished, but it's life was brought to an abrupt end in 1539 by Henry VIII's Dissolution of the Monasteries. Months after, the abbey buildings stood empty in hope of being the site for the cathedral for a new Dales bishopric. But, it was never to be, by 1540 all the glass and lead from the dismantling of Fountains Abbey found its way to Ripon and York. The abbey and over 500 acres of land were sold by Henry VIII to Sir Richard Gresham, a merchant. It's been passed down through several generations of Sir. Richard's family then sold to Stephen Proctor who built Fountains Hall, an Elizabethan mansion built partly with the stone from the abbey's ruins, between 1598 and 1604. In 1767 it was sold for £18,000 to William Aislabie who landscaped the abbey ruins. In 1966, the Abbey was placed in the guardianship of The Department of Environment and the estate was purchased by the West Riding County Council who transferred this ownership to the North Yorkshire County council in 1974. The National Trust bought the 674-acre Abbey & Estate from the council in 1983. Visitors can come and fully explore the lands and ruins at their leisure. how wonderful! absolutely fascinating history! I sometimes dream of running away and spending some time in a monastery. and thank you for telling me about share in style, maybe it's not too late for me to join in, I just have to edit my post and include link. What a beautiful location, and your dress suits it so well, very romantic. Love the fairy tale atmosphere in these pictures - such a beautifull setting and place for your outfit! And it looks so quiet and peaceful too. Have a great start to your week! 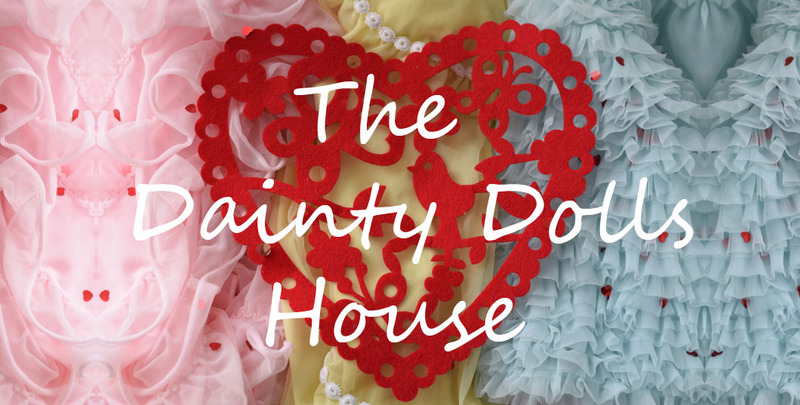 You have whisked me off to a magical place where a gorgeous fairy called Kizzy lives. Thank you for enlightening us about the history behind the location and for inspiring wonderment into our Monday! It looks like you popped out a druid's tale! Beautiful place and gorgeous outfit! this place is beautiful, and I love the color of ur dress, it looks great on u ! Looks more than amazing! Great blog you have! What a wonderful, dreamy atmosphere! Love the story behind the pics and your dress is a stunner! Lovely color! Love the flower crown too. Love how you recreate a whole artisitc universe around this magical place full of history, glamour & romantic! You look so dreamy and lovely. Gorgeous photos!! Ooooooh my god!! You look like a divinity between that artistic escultures *O* Beautiful dress and lovely floral crown, I love it! Great photos and lovely dress! Wonderful landscapes and You look is so romantic with this dress and crown, have a nice week! That dress is seriously so gorgeous! Love it on you! I am 2.5 seconds away from envying you:-) I LOVE your dress so much, and you look so beautiful in it. Your last pose is priceless. Beautiful place! This place is fantastic and these pics amazing!!!!! This place is amazing and you look great with this dress! Loving the history lesson we got along with these magnificent photos. You look stunning Kizzy! this place is breathtaking! a perfect location for your outfit too!!! What a magical place, love it! And you look gorgeous! Beautiful photos and post!!! lovely dress!! so beautiful! i love the landscape! Fantastic ruins! The pillars are so magestic. I love the statues. I wonder what the turtle symbolizes in the first one. You look beautiful in that flowing dress! wow this pics are amazing, and your dress is beatifull, and so you too!! This is breathtaking in every singe way. The photos are fun and beautiful but you just look like you belong there in that amazing outfit. You look so graceful and pretty. Hello! I'm stopping by from Share-in-Style. Your gown is crazy awesome. So pretty and poetic! this place is beautiful and you look stunning kizzy! the dress! what a gorgeous setting for a gorgeous photoshoot! You wear that dress so well and pose so gracefully! Kizzy, you look breathtaking! This place is spectacular! I could just run through if. HaHa I love the swans, statues, ponds and grounds. Fabulous pictures. I loved this! You look like an angel. The monks story is amazing! You look Adorable in this dress and it is perfect to wear to a wedding. Kudos to your photographer . . . Enjoy your Life! Wow, what a nice photoshoot! You look wonderful doll, with the amazing backdrop and that fabulous dress! You are pure beauty my friend! What a beautiful place dear!! IT's amazing, and you look georgeous! Oh wow...this place looks absolutely amazing!!! Such a nice scenery! Love your dress! This is an amazing location, it seem magical like you with this dress! Oh very beautiful dress and very amazing and beautiful place so relaxing! Your dress looks fabulous! Yorkshire looks so historical. The arches are so beautiful and poetic. With Adam, around and the sea 100mts away there is little time left. You look sooooooooo radiant and beautiful. Tons and tons of love.